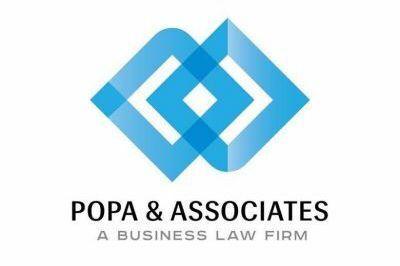 Under the contract terms, Popa & Associates provides legal assistance in gathering information and elaborating technical documentations, developing the business plan, negotiations with public authorities regarding licenses and permits that are necessary to realize the mentioned project, giving a complex legal consultancy throughout the project, implemented with its support and assistance. The project company BB-Dializă was created to achieve a Public-Private Partnership that would reform the medical services in the dialysis field. Its creation as part of German consortium BB-Hämodialyse mbH, was conditioned by the need to provide quality services in the dialysis field in Moldova, by forming a network of excellence centers, which would meet European standards. Offering accessibility to citizens nationwide, the company comes with a know-how in the system, implementing "holiday dialysis" service for foreigners. Developing a dialysis clinic in Moldova is a multistep process, that must be approached methodically and with focused attention to project needs and requirements. We advised our client to implement a Project Finance through PPP (Public Private-Partnership), on a non-recourse basis, with highly leveraged financing structure, with complex risk allocation between all project parties, where project debt is secured by all project assets, including revenue producing contracts. Since the Project finance lending is not based on existing/historical financial information, but looks towards the future free cash flow projected to be generated by the project, our lawyers were focused on project contracts. P&A provided a detailed legal due diligence "LDD" of the project contracts to assess potential risks and to calculate projected costs and revenue over long periods, verified the financial modeling to determine free cash flow (i.e. cash flow available to service project debt) during the term of the financing and whether the project is „bankable“. We assisted in the structuring of the project company, established as a special purpose vehicle (SPV) in Germany to build and operate the project, shares in the SPV being owned by the project sponsors; we assisted regarding joint venture agreement, regulating financing obligations, management and voting. • Interest hedge agreements – banks and Sponsors agree with the SPV to swap floating rate loan obligations with fixed rate obligations, to protect the project from interest rate fluctuations; currency hedges.